New York, 19 October 2017 - Children in institutional care, already vulnerable as a result of the circumstances that led to their separation from their families, are at high risk of violence, neglect, abuse and exploitation. The situation of children in care and the incidents of violence compromising the safeguard of their rights is often surrounded by a curtain of silence. In most countries, there is scarcely any data on the reasons and length of children's placement in institutions, about the facilities and providers of care services, or about those being reintegrated with their families. 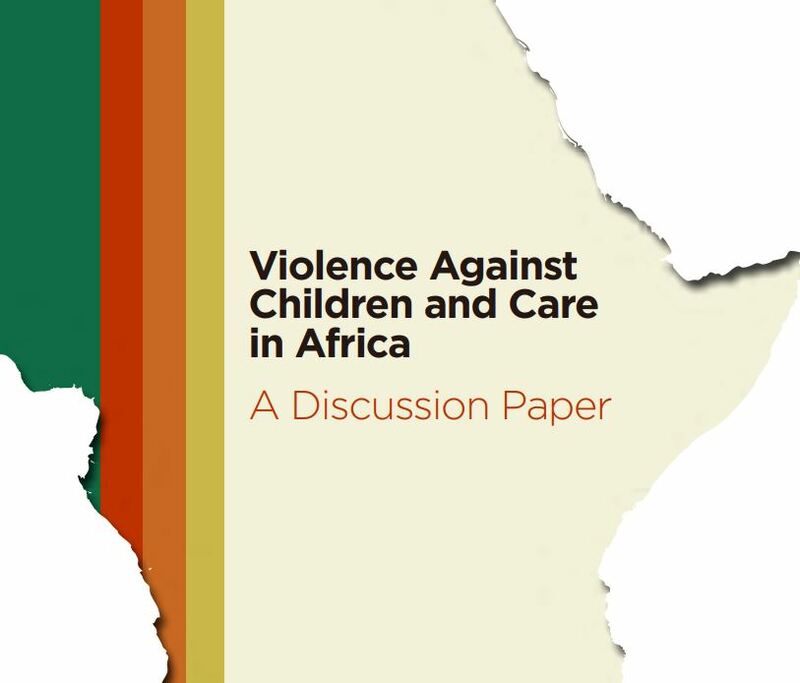 The new report Violence against Children and Care in Africa,released by the Better Care Network, explores the interlinkages between violence and children’s care in the African context. As the report highlights, stable and secure family environments, and a positive attachment of a child to a parent or caregiver, are powerful sources of protection from violence, neglect and exploitation. But when strong and positive family care is lacking, and bonding and the resulting protective relationships are weak or do not exist, there is an increased risk of children being exposed to violence, abuse or neglect in the home and in other care settings. “Over ten years ago, the UN Study on Violence against Children called for increased investment in violence prevention, encouraging all States to provide effective support to families in their child-rearing responsibilities to ensure a violence-free home and avoid the risk of child abandonment. It also urged the provision of family and community based alternatives to avoid the placement of children in institutions, and to ensure that such an exceptional option is truly considered only as a measure of last resort. For those children who do end up in alternative care, the UN Study called for effective measures for their protection from all forms of violence. Yet as this report highlights, there is still a long way to go to realize the right of millions of children in Africa to grow up in a protective, nurturing family environment and to live free from violence in their daily lives, wherever ‘home’ may be”, said Santos Pais. The new report provides an in-depth analysis of legal and policy developments, data collection efforts, service delivery and public awareness across the African region to ensure families can be better supported and empowered to provide stable and appropriate care for children. It complements the outcomes of the second regional expert consultation on alternative care reform efforts and violence prevention initiatives which took place in Nairobi, Kenya, in June 2017. “I very much welcome the release of this important report and look forward to supporting its wide dissemination to ensure its key findings and recommendations help advance implementation of the UN Convention on the Rights of the Child, the African Charter on the Rights and Welfare of the Child, the UN Study on Violence against Children and of course the UN Guidelines for the Alternative Care of Children. It will greatly contribute to ensuring that no child is left behind in the implementation of the 2030 Agenda for Sustainable Development in Africa”, said the SRSG.